Hello, welcome back to the Bangkok Travelbug. We wish you a Happy Year of the Rooster blessed with good health and prosperity. 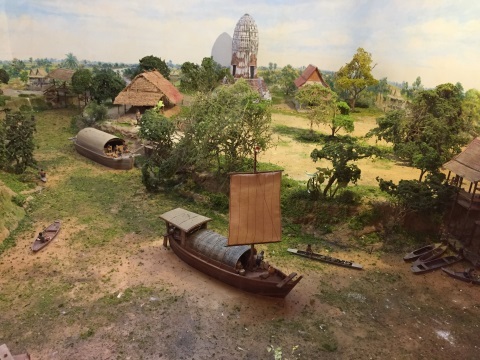 This month we visit the site of a battle that took place more than 250 years ago during the Burmese-Siamese Wars in old Siam. 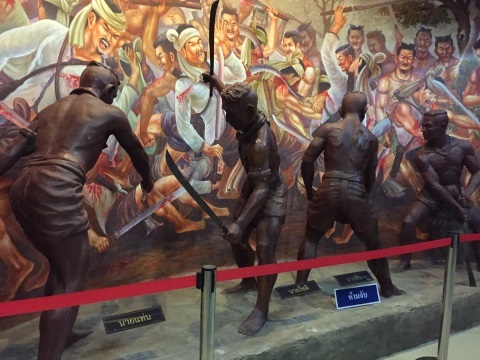 Ironically, the outcome of this battle didn’t affect the final outcome of the war, Ayutthaya fell in any case. 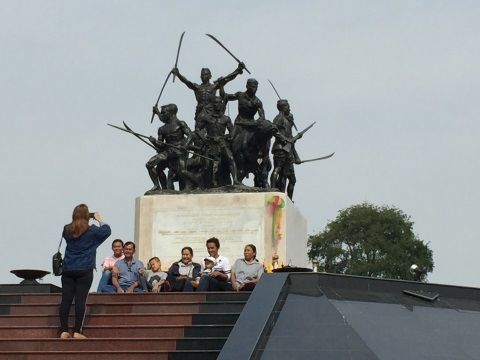 But this battle found its way into the pages of Thai history simply because of the courage, steadfastness and sacrifice of a group of people against overwhelming odds in a small village called Bang Rachan. Join us as we relive the events leading to that battle in Bang Rachan. Early in his reign, King Hsinbyushin (1763 – 1776) assembled a massive army to suppress the rebellious city kingdoms in Siam. 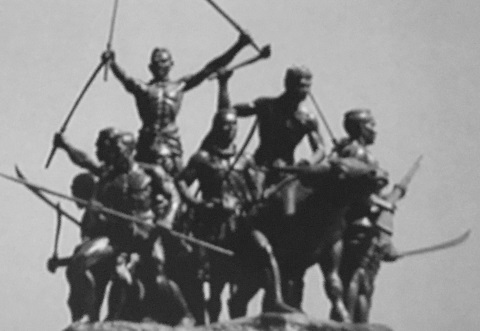 The Burmese order of battle consisted of 100 war elephants, 1,000 cavalry and 20,000 infantry. 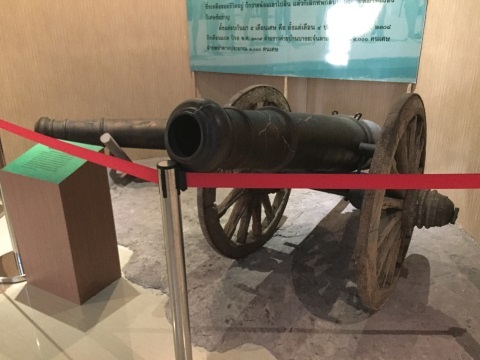 In March 1764, this force of 30,000, including other troops invaded Lan Na Kingdom at Chiang Rai and Chiang Mai; both cities were quickly subdued. Luang Prabang in Lan Chang Kingdom (present day Laos) was next and by early 1765, the Burmese reinforced by troops from the cities they captured, were poised for the assault on Ayutthaya to the south. 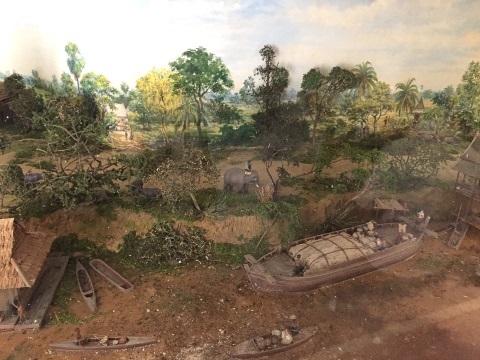 They swept all the cities on their way south; Tak, Kamphaengphet, Sukhothai, Phitsanulok, Nakhon Sawan and by July 1765 reached Wiset Chai Chan (present-day Ang Thong), the frontier of Ayutthaya. 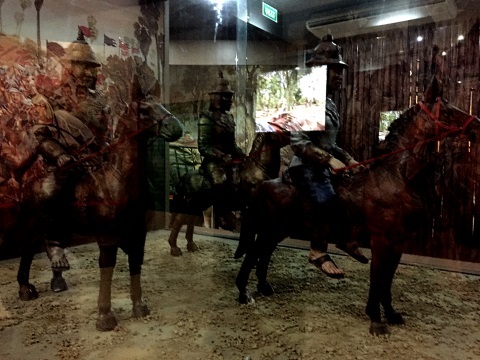 From the south, a force of 30,000 Burmese troops consisting of 1,000 war elephants, 1,000 cavalry and 20,000 infantry, overran Chumphon and Phetchaburi. From the west, another force came through the Three Pagoda Pass and took Kanchanaburi, Ratchaburi and Suphanburi. 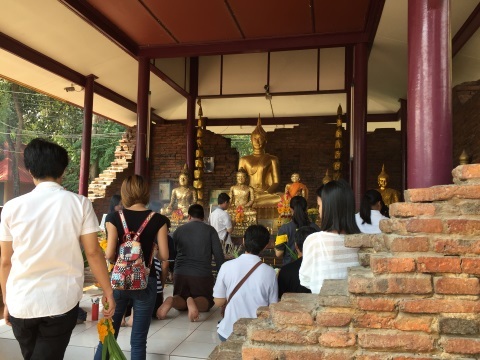 When all these forces met, the trap was sprung – Ayutthaya was completed isolated. Not even the coming rains could save her this time. Burmese patrols at the outskirts of Wiset Chai Chan, a frontier town 34 km north-west of Ayutthaya, were foraging for food and material, looting, capturing prisoners for slaves and burning villages to the ground. The villagers of Wiset Chai Chan rallied to defend their town. After initial success, they were soon overwhelmed and the town fell to the Burmese. The survivors escaped to join the fortified village of Bang Rachan 20 km to the north. Bang Rachan is surrounded by numerous canals, ponds, and other waterways that are linked to provide a natural irrigation network. This gave the villagers in the area ample water for rice and other cultivation and also a constant supply of fish. (Please see map below). This feature also contributed to the defence of the village by hindering the movement of the attackers and channelling them to certain routes. It also provided the food and water during the Burmese siege. 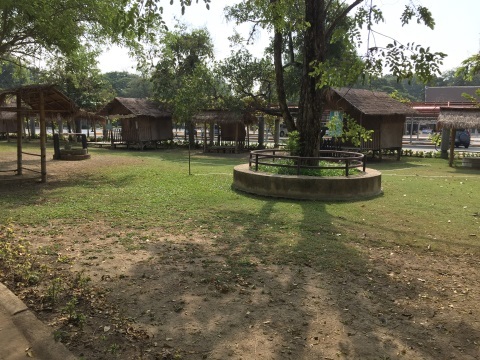 The Bang Rachan stockade became a refuge for all the villagers in the area fleeing the Burmese and these people reinforced the defence. 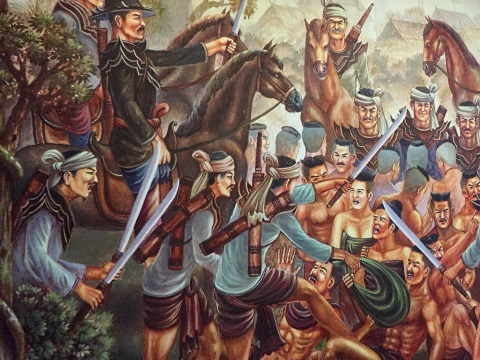 Though out-gunned and out-numbered, Bang Rachan held out for five months and repelled eight Burmese attacks. On Monday, the second night of the waning moon in the third Lunar month in 1766, the Year of the Dog, Bang Rachan fell to the Burmese. Those who survived the battle were either captured as slaves or put to the sword and the village burnt to the ground. The Burmese continued their onslaught southwards and laid siege to Ayutthaya. On 7 April 1767, Ayutthaya fell for the second time in 200 years. This time the city was totally destroyed and a line of 36 kings came to an abrupt end. In the midst of a military campaign that was a total disaster for the Siamese, Bang Rachan was like a beacon in a season of despair. However, for the next two centuries, the site of this heroic battle was abandoned. 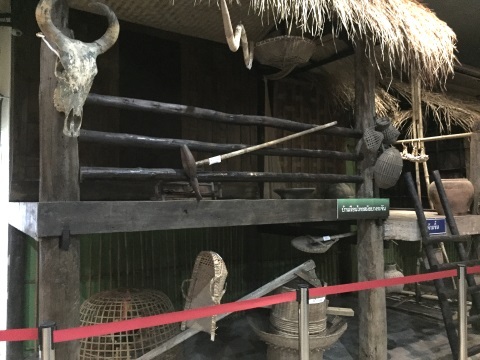 Visit the museum first; it’s divided into two sections, the first displays handicraft and life in the past in Bang Rachan and Singburi, the second is on Fort Bang Rachan, the war, old weapons used and a mock-up of the fort. 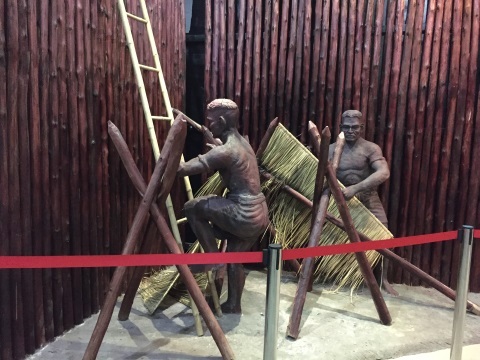 These models of village life in the past give visitors of what life was like back then. 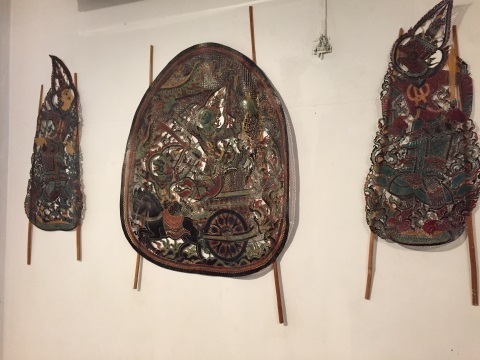 Nang Yai or giant puppets are also a speciality of Singburi and the Nang Yai Museum and Art Centre in Wat Sawang Arom, Singburi City is dedicated to this handicraft. 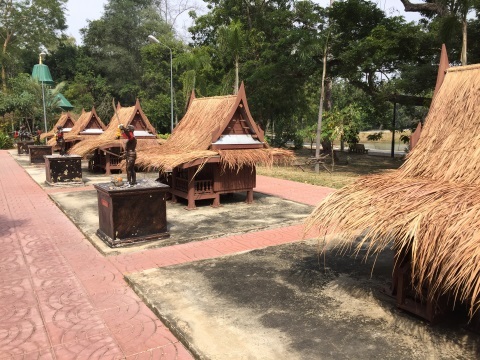 The historical park is a vast area with model and live-size traditional Thai huts. 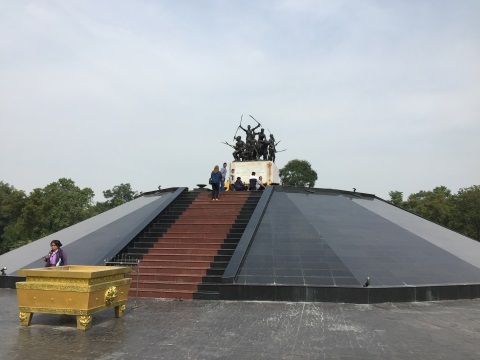 The centrepiece of the historical park is the Bang Rachan Heroes’ Monument. 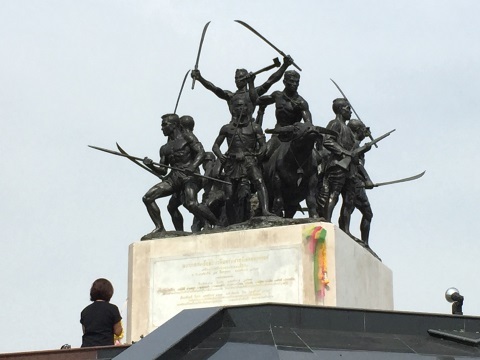 There are eleven figures in the monument with each figure representing a specific person. 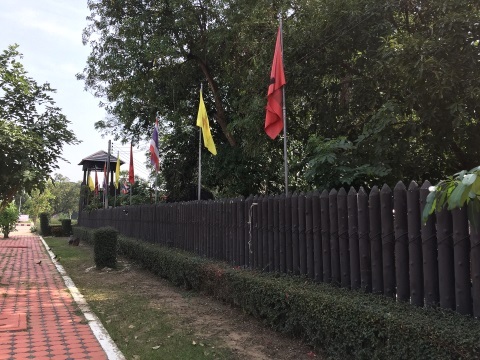 Across the road from the Bang Rachan Memorial Park is the site of the former fortified village of Bang Rachan or Khai Bang Rachan. This area was registered as a historical site by the Fine Arts Department on 20 December 1954. 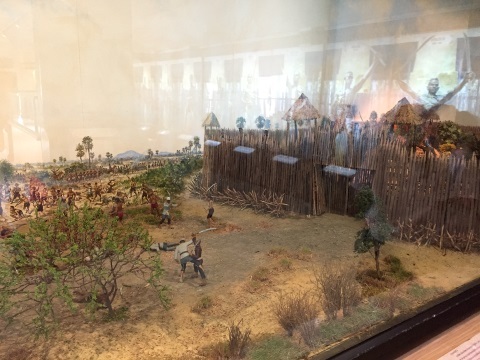 The reconstructed walls of the fort and main gate line the front of the historical site to set the mood for visitors. Wat Pho Kao Ton (temple with nine pho trees), was the village temple during the battle and provided much of the spiritual and moral support to the defenders during the siege. 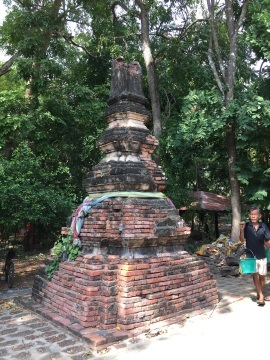 The ruins of the wiharn and a small chedi from the old days are preserved within the present temple grounds. The shrine in the old wiharn is a popular place of worship for visitors. It is believed that the pool within the temple grounds contains sacred water. Those whose prayers are answered fulfil their vows by carrying pails of water from a well to fill the pond. There’s also a school in the historical area that’s named after the fort. 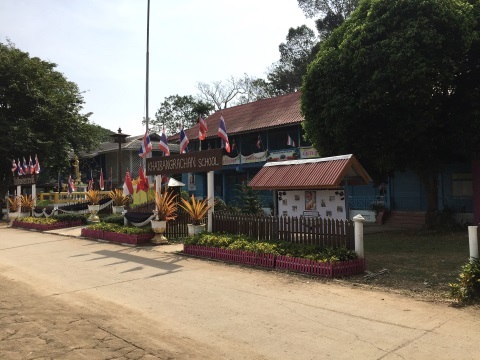 Behind the school, under the shade of the woods, the Bang Rachan Market adds a quaint historical touch. We will be presenting this market soon, so I won’t spoil the surprise. 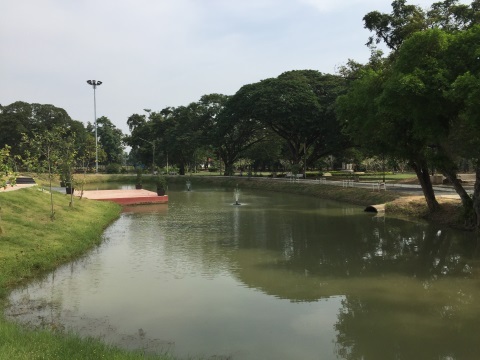 The district where the Bang Rachan Memorial Park is located is called Khai Bang Rachan, not to be confused with the Bang Rachan District, another district further north in Singburi. 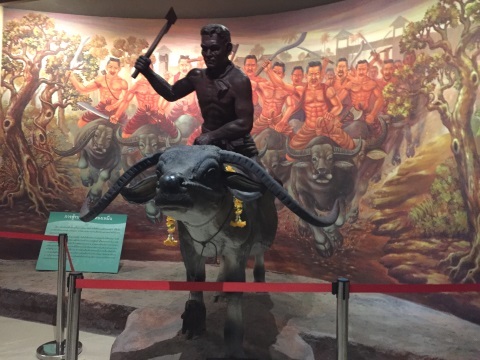 Bang Rachan is well remembered in Singburi. 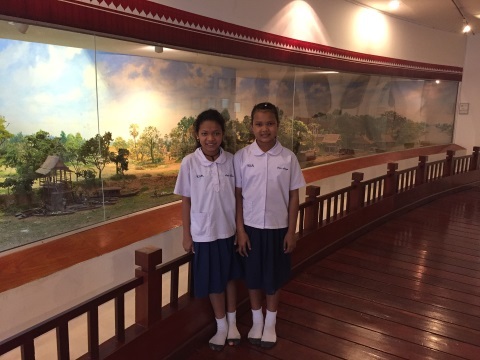 Our thanks to the staff of the Bang Rachan Museum who were most hospitable and helpful, especially the two young school children who were our volunteer guides. We wish them well in their future. 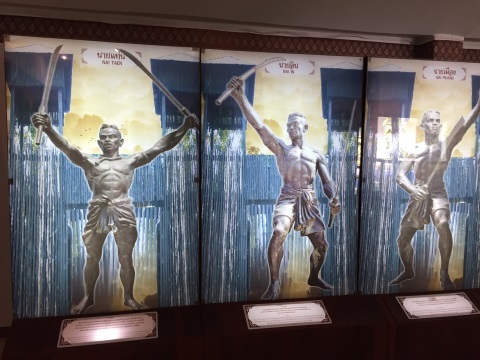 All photographs are with the courtesy of the Bang Rachan Memorial Park. After you leave Bangkok, head north along Highway 32, past Ayutthaya to Ang Thong. 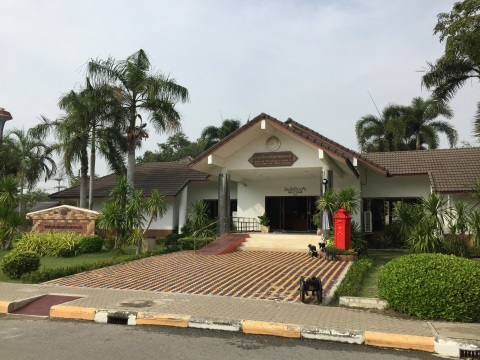 Go through Ang Thong City via – Highway 334 – Highway 3064 to Singburi, then switch to Highway 3032 which will take you to the Bang Rachan Memorial Park. We depart from our regular feature articles to present the Thailand Tourism Festival 2017.